Ford's highly successful for decades in the construction of small city cars. 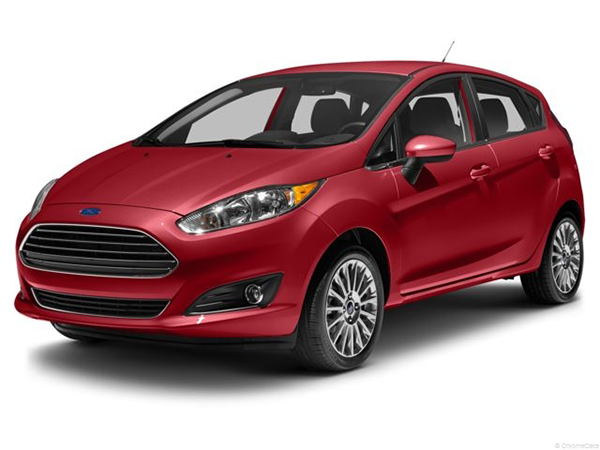 Ford Fiesta is a great car for city driving, but also can be a good "marathon runner". Direct power steering perfectly follows the desired trajectory of the driver. It is very fast, and it is easy to correct any errors. Well-tuned springs and shock absorbers wheel adherent to the surface in any situation. The average consumption of the Ford Fiesta is about 5l -6l. What we want to emphasize is the ultimate handling, high stability, excellent brakes and transmission, dynamism and agility. It can be said that Ford is simply beautiful, avant-garde and modern car. The Citroen C3 is the French manufacturer’s offering in one of the most hotly contested areas of the car market: superminis. And the third generation C3 is a world away from its predecessors. The new Citroën C3 borrows a chunk of style from its popular bigger brother, the C4 Cactus, and from whichever angle it's observed, bristles with difference. This little 1.2-litre three-cylinder engine’s cheery and largely unobtrusive thrum matches the car’s cheeky looks. The light controls let you drive smoothly in heavy traffic and don’t tire you out. And here that oh-so soft suspension pays off with a floaty ride that feels quite cosseting. With standard seat height and steering wheel rake and reach adjustment it’s really easy to get comfortable, and there’s enough space in the front for that still to apply if you're tall. You also get lots of storage, with big door pockets, a large glovebox and a couple of cup holders. For a petrol the 1.2 Puretech 82 engine’s competitive CO2 emissions and fuel economy will make it cheap to run and it’s fine for pootling around the city. There’s room in the cabin for four adults (just about) and the 300-litre boot is bordering on the generous for the class. Its 3,996mm length and 1,829mm width are shorter and wider than the Vauxhall Corsa or the Hyundai i20. The overall effect is a modern and stylish - and, perhaps most importantly, different from the likes of the conservative VW Polo, Skoda Fabia and Hyundai i20. A car for all conditions! 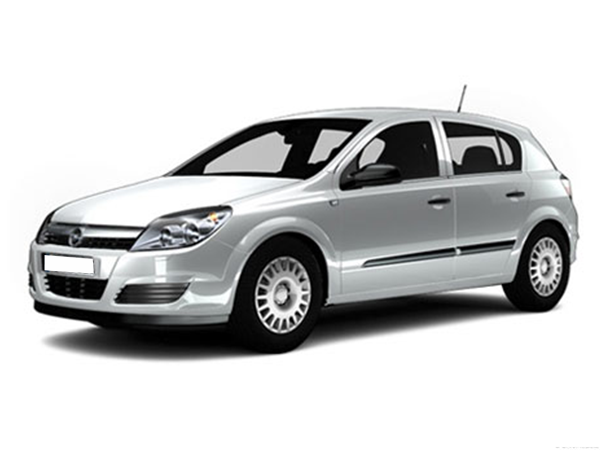 Whether you need a city car, or for a long trip, family or business, Opel Astra is here to fulfill all your requirements. The engine of 1600 cc is strong enough for a comfortable long trip and sufficiently economical in city driving conditions. Interior space is really large (comfortable for 5 people), the trunk of the 380l is quite satisfactory and in accordance with the size of the vehicle. Safety was in the focus obviously, so the vehicle is fitted with 4 air bags, ABS systems and traction control. The interior looks really innovative but at the same time, it is very functional and "user friendly". Power steering, power windows, air conditioning, and many other electronics are included. It is also implemented aux output for music from mp3 players or iPod for longer trips. Add to this our Wi-Fi and you will have a real pleasure on a business or family trips. The Fiat Tipo offers more than enough practicality for most situations, while the strong engine and comfortable chassis make it an acceptable family five-door to live with. All models feature standard equipment including air-conditioning, central locking, front electric windows, a DAB radio, USB and Bluetooth connectivity, split-folding rear seats and a multifunction steering wheel. On the move, Fiat’s Tipo hatch has a relaxed feel, with soft suspension and a comfortable driving position adding up to a smooth driving experience. Plenty of flowing lines give the car a sharp look, and the raked windscreen means it appears sportier than many practicality-focused five-doors, too. The Fiat Tipo is 4.37m long, 1.79m wide and 1.5m tall, the doors can be open nice and wide, which should be useful for fitting child seats. For a compact five-door hatch, the Tipo’s 440-litre boot should be more than enough to carry dayto-day luggage and it can swallow a family of four’s belongings. The Fiat Tipo’s real strong point is its practicality. In fact if you need a practical family car, the Tipo could be a great choice. The Dacia Duster is a simple, straightforward car and this is reflected in the way it drives. Longtravel suspension and a soft set-up mean the car absorbs bad bumps with greater composure, the high seats and raised stance mean the Duster is a confidence-inspiring drive also in the city. At 4,315mm long, the Duster is just 55mm shorter than a Qashqai, and it’s actually a bit longer and wider than regular hatchbacks such as the Hyundai i30. The standard Duster can clear obstacles 205mm tall and the 4x4 version has an additional slight advantage in terms of ground clearance, offering 210mm. The new turbocharged petrol option can do 0-62mph in as little as 10.4 seconds with front-wheel drive. For the storage, there’s a big tray on top of the dashboard, with a handy ledge featuring the Duster nameplate above the glovebox and another tray underneath the sat-nav. Three people can be loaded into the back, making it a viable family car choice. The Dacia Duster has a superb 475-litre boot. This is for example much bigger than models such as the Ford Focus (363 litres).